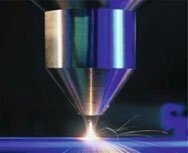 Micron Laser Technology provides laser cutting services for consumer products, original equipment manufacturers, and printed circuit board manufacturers, as well as other customers in the aerospace, transportation, and medical industries. MLT's numerous laser machining centers are equipped to handle volumes from prototyping to long production runs. MLT laser processes match the optimal wavelength and beam delivery to cut a variety of materials including mild steel, stainless steel, titanium, medical grade silicone, ceramics, phenolics, adhesives, precious metals, plastics, rubbers, fabrics, silicon and much more. MLT stocks a number of materials for immediate use or non-stocked materials can be procured as part of the unit pricing. Customer-owned material can be stored/stocked on-site to reduce lead times and material costs. The most complex shapes can be cost effectively laser routed or machined with the following advantages.